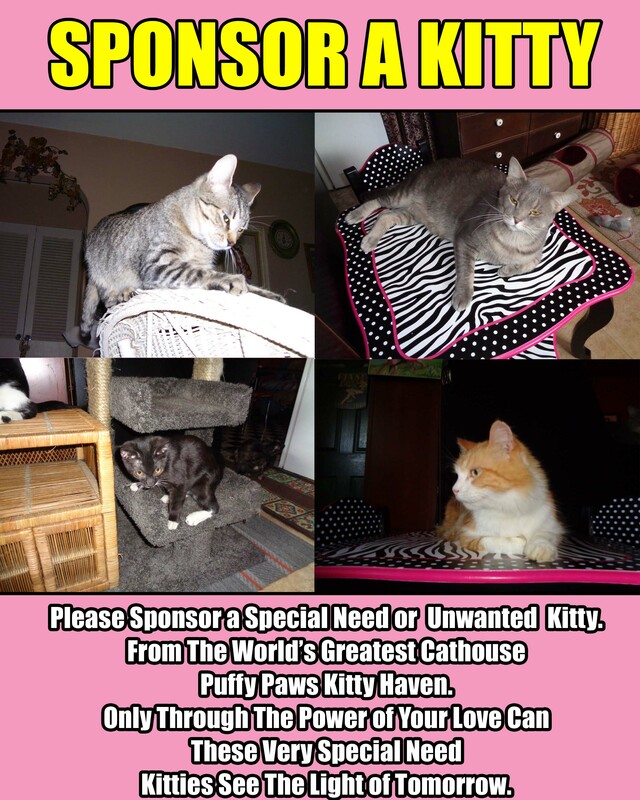 Now Englewood, Florida’s “World’s Greatest Cathouse,“ Puffy Paws Kitty Haven is a 501(c) (3) non-profit, no-kill cat hospice and rescue specializing in providing quality and loving care to special needs cats and finding homes for the adoptable kitties under their care. Millio is a kitty who was severely abused. They broke her back and tail but not her spirit . Play is living with FIV.